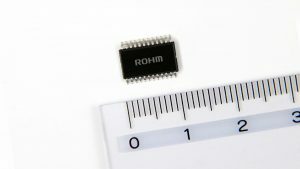 ROHM has recently announced the availability of a sound processor capable of high resolution audio playback that performs volume adjustment and audio mixing for car audio and navigation systems requiring high sound quality. In recent years the proliferation of quieter cabins and higher resolution sound sources resulting from the introduction of EVs and PHVs has increased demand for more accurate audio representation – even in the car audio sector. 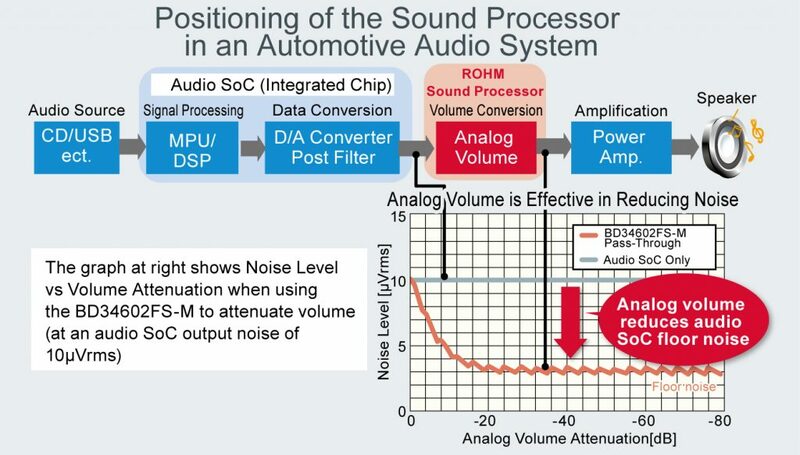 However, audio SoCs, which comprise the core of car audio systems, are trending towards lower voltages following greater process miniaturization, reducing the size of audio signals that can be supported. 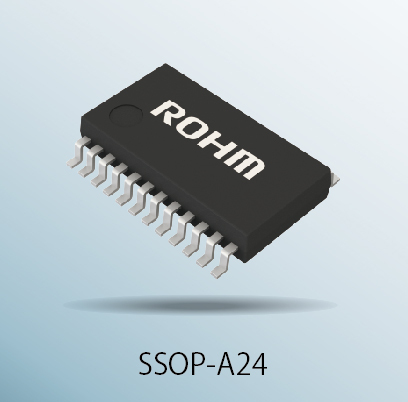 This increases relative floor noise, requiring low noise, high fidelity analog volume after the SoC stage. In pursuit of characteristics required for car audio, ROHM expanded on its lineup of sound processors (which have been well received with more than 120 million units shipped worldwide over the last 5 years) with the BD34602FS-M that was developed with a focus on sound quality by utilizing proprietary sound quality design technology. 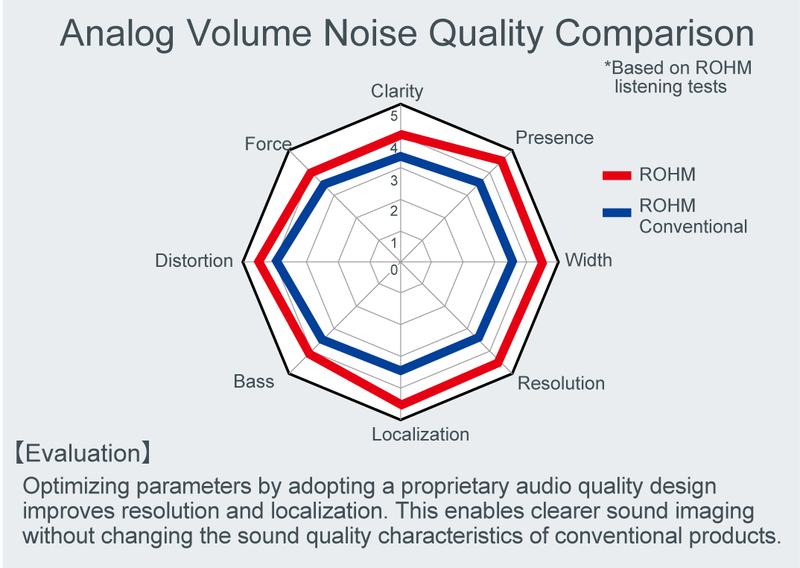 Class-leading characteristics such as low 0.004% distortion and 3.1uVrms floor noise make it possible to extract the full data from sound sources, improving spatial representation (location of sound source and perceived distance). 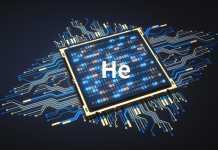 The result is improved car audio quality (which is experiencing increased demand), while promoting the adoption of high resolution sound sources and a reduction in cabin noise. 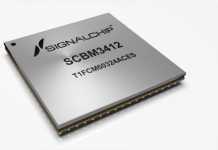 The BD34602FS-M integrates newly developed original audio quality technology. Extracting the full data from audio sources by optimizing 28 unique parameters centered on circuit configuration and electrical characteristics that have been shown to have an effect on IC sound quality enables accurate spatial representation (perceived distance and location of sound source), and as a result has been well-received by car audio manufacturers. 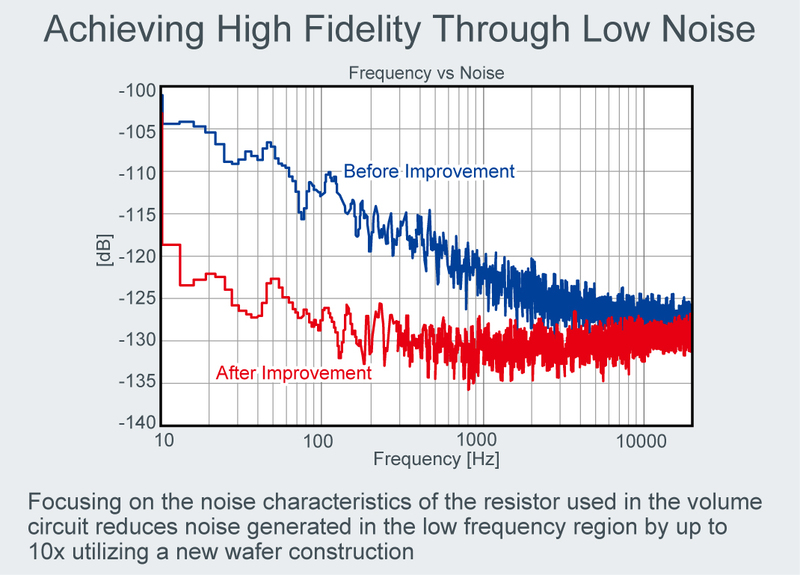 Improving resolution (sound clarity) and spatial representation (perceived location and distance from sound) along with transient characteristics by adopting a layout that suppresses signal interference makes it possible to extract the full data from audio sources. Leveraging expertise cultivated over many years and analog design technology in areas that cannot be reproduced in simulations allowed ROHM to develop automotive sound processors that achieve an industry-low 0.0004% distortion and floor noise of 3.1uVrms during volume attenuation. An interrupt function (mixing) for both voice navigation and hands-free modes is built in. Generally, when turning mixing ON/OFF unwanted popping noise may occur, but with ROHM’s original advanced switching technology these popping noises are minimized. Represents the amount (degree) of signal distortion. The smaller this value is the less distortion. Refers to noise when there is no sound (when there is no input signal). Refers to noise when there is no sound (when there is no input signal). Generally, an IC that integrates functions necessary for system operation. In this case it represents a series of functions for enabling output by extracting audio signals from audio sources.